The light filtered into the Samuel Lutheran Church in Muskegon easily, Sunday’s late afternoon rays spreading across the wooden pews. Here, in this room filled with stained glass and soft colors, a community gathered. 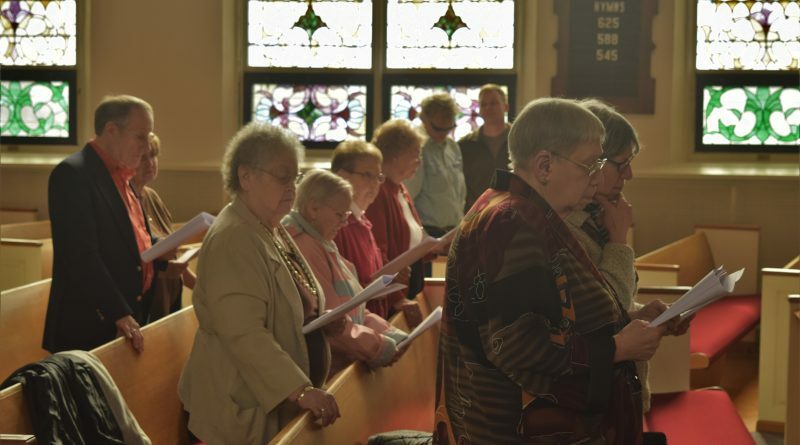 As winter turned to spring outside, people of all faiths and backgrounds, from Muskegon and beyond, filled the church for the 24th annual Shoah Commemoration. Here, they remembered and honored the memories of the 11 million victims of the Nazi genocide, including six million Jewish men, women and children and five million Poles, Slavs, Gypsies, members of the LGBTQ community, and pastors, among many others. Here, in Muskegon, thousands of miles from the Nazi gas chambers where the ashes of people spread across a land those murdered once called home, they honored each person behind that staggering statistic. Each child who never became a parent, each parent who did not become a grandparent. Each musician who couldn’t pick up their instrument until their hands succumbed to old age. Each poet and hat seller and doctor and dancer. Each person who turned to other countries for help, to escape the evil that was consuming their lives, and were ignored. Were turned away. Were told there was no space for them. The people whose names we do not all know, but who fill the breaths of everyone saying: never again. “In the heart of Europe, aided by the silent acquiescence of so many of the nations and peoples of the world, a wind of abomination and racial hostility, a wind of evil whipped a continent into a frenzy of senseless killing,” said Rabbi Alan Alpert, who has worked with Samuel Lutheran Church Pastor Chris Anderson to offer Muskegon’s Holocaust remembrance service each year for nearly a quarter of a century. 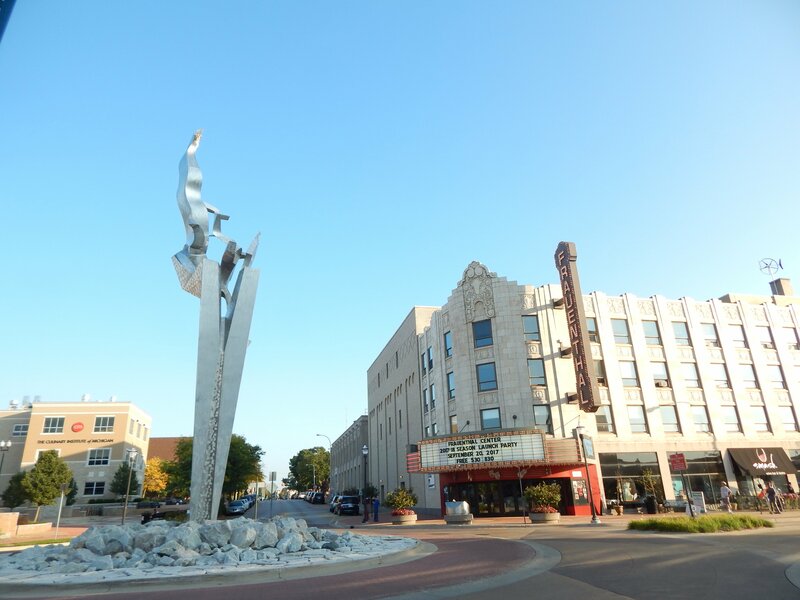 For those gathered at Sunday’s ceremony, organized by the Center for Holocaust and Genocide Studies-Muskegon, they continued to answer the question asked around the globe: what does it mean to remember the Holocaust? And what does it mean to do that in the world we find ourselves in now? 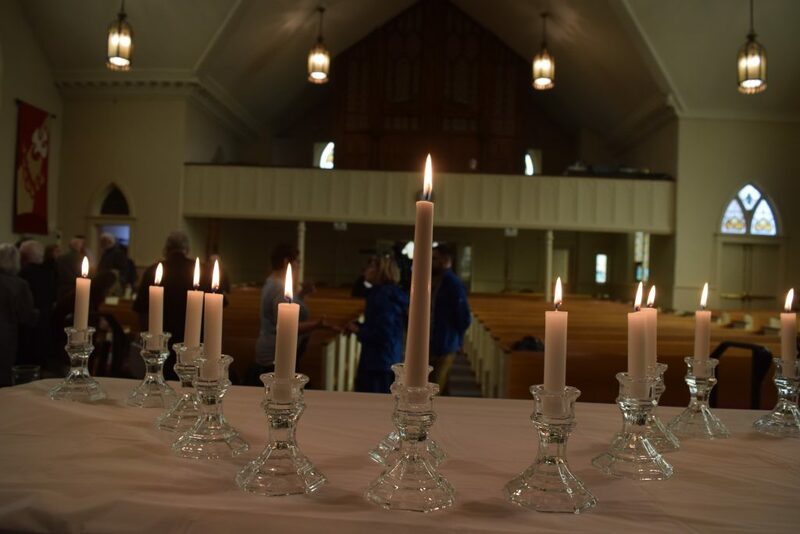 As those attending the service started to light candles in remembrance of the millions of people who died during the Holocaust, as well as those killed in other 20th century genocides, Rabbi Alpert began to answer those questions. Guy Stern, right, lights a candle in remembrance of the millions of people murdered in the Holocaust, including his parents and siblings. Finding that strength to fight against hate is often rooted in understanding the role hate has played in our history, what hate has taken from us and why it matters that we speak up against evil, why it matters that we embrace other people—even if it means going against society’s grain or risking our own lives to do so. Dr. Guy Stern, whose mother, father, brother, and sister were murdered by the Nazis, spoke to this very issue during the Shoah Commemoration. Stern, a 97-year-old who now directs the Harry and Wanda Zekelman International Institute of the Righteous at the Holocaust Memorial Center in Farmington Hills, was the only member of his immediate family able to flee Nazi Germany for the United States as a 15-year-old. Once in the U.S., Stern, who is Jewish, attempted to bring the rest of his family over—which entailed finding a U.S. citizen who would be able to vouch for his parents and siblings. 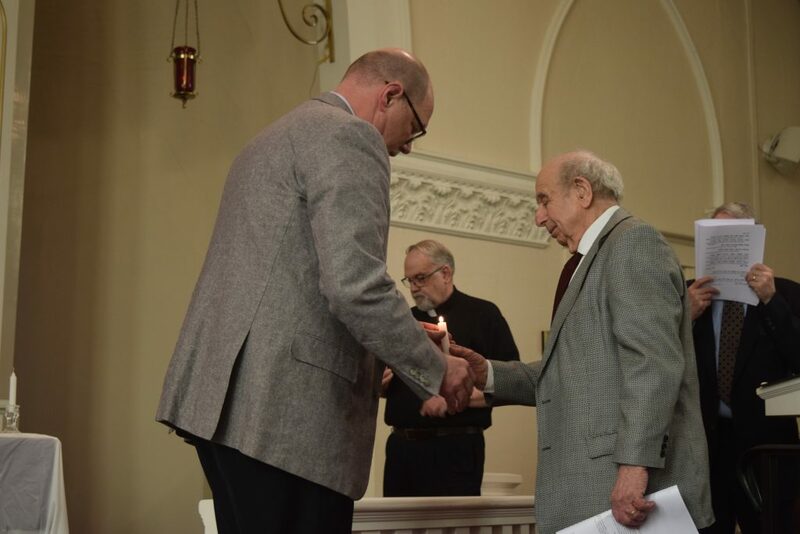 “When I got to St. Louis, I tried meeting anyone who seemed to have some means,” said Stern, the guest speaker at the Center for Holocaust & Genocide Studies-Muskegon remembrance event. One day, while hitchhiking “in a very fancy car” to his job as a hotel busboy, Stern asked the driver if he could help his family. The individual said he would, and the two made their way to an attorney to try to begin the process of bringing Stern’s family over. Stern never again saw his parents or siblings. They were murdered somewhere between the Warsaw Ghetto in Poland and the concentration camps. Before Stern knew his family was gone, he returned to Europe in 1944, three days after the invasion of Normandy, as part of the Ritchie Boys, a special U.S. military intelligence unit comprised largely of European Jewish immigrants. Stern’s work would later earn him the Bronze star. After learning in 1945 that his entire family had died, he returned to the United States and has dedicated much of his life to championing human rights and educating the public about the Holocaust, as he did this past Sunday. Candles are lit in remembrance of the millions of victims of the Nazi genocide. When Stern left Germany as a 15-year-old, he was leaving a homeland that had turned against him. He was leaving a home where people once considered his closest friends had begun spouting vitriolic, anti-Semitic rhetoric. Where he and his family were bullied, harassed and beaten for being Jewish. Where those who beat his father faced no consequences for their actions. Where classes were suspended in order to watch Nazi parades. He was leaving a country where he had been born, where his parents had been born—in tiny towns nestled in the mountains. A country for which his relatives fought in World War I, a war that claimed one uncle’s life and seriously wounded another in gas warfare. It had not always been that way. He once had non-Jewish educators and friends who stood by his side, who taught him and played with him. Stern’s story is one we continue to see play out today: one of intolerance, one of cruelty and hatred, one of silence. We have, as a world, not lived up to: never again. Stern’s talk comes at a time when anti-Semitism and white supremacy is on the rise, according to a report released this month by the Anti-Defamation League (ADL). The ADL reported 1,187 incidents of white supremacist propaganda in the U.S. in 2018, a 182 percent increase from 421 incidents in 2017. Those incidents include anti-Semitic, racist, and anti-Muslim messages. Just months ago, on Oct. 27, 2018, a gunman shot and killed 11 people gathered for a baby naming ceremony at the Tree of Life Synagogue in Pittsburgh, Pennsylvania, after which the Muskegon community came out in force to condemn anti-Semitism, and all acts of hate. But what are we, as individuals, as a community, as a country, as a world, silent about? And to what does that silence translate? Stern’s friends who turned to Nazi propaganda had once been his closest mates. What do we learn from this? How do we stop ourselves from succumbing to hate, from acquiescing to others’ hate because we do not want to ruffle feathers? From Stern’s story, and the stories of so many others who lived through—and were murdered in—the Holocaust, we learn it is not just hate that leads to a genocide. Silence too plays a role. Standing by plays a role. Keeping your head down because it doesn’t immediately affect you plays a role. These are all key players in authoritarianism and dictatorship. In mass murder and genocide. Still, in the face of evil, there too was, and is, good: people who fought to make sure others could live. People like those in the German-Jewish Children’s Aid Society, a New York-based organization that worked to bring Jewish children from Europe to the United States before, during and after World War II—including Stern. At the end of Sunday’s ceremony, the congregation stood. Pastor Anderson broke bread with the congregation. People wiped away tears, but they laughed, too. Some steadied one another as they rose from the pews. “Please turn to those around you, share the blessing of peace, wholeness, and life, and wish them Shalom,” Rabbi Alpert said. And so they did, the words ‘peace’ and ‘Shalom’ reverberating throughout the room on this late Sunday afternoon in Muskegon.